Born in Cameroon, West Africa, Gerard Pefung grew up being exposed to the rich traditions and culture of Africa. At a young age he developed an interest in the arts and has worked studiously in developing and refining his techniques. Working mainly in painting and mixed media, Pefung begins with numerous sketches that serve as a way of understanding his subject. When moving on to paint he allows himself to be unrestrained by any specific guidelines, be it tool or material, thus allowing the canvas, his environment and his state of mind and emotion determine the outcome of his work. 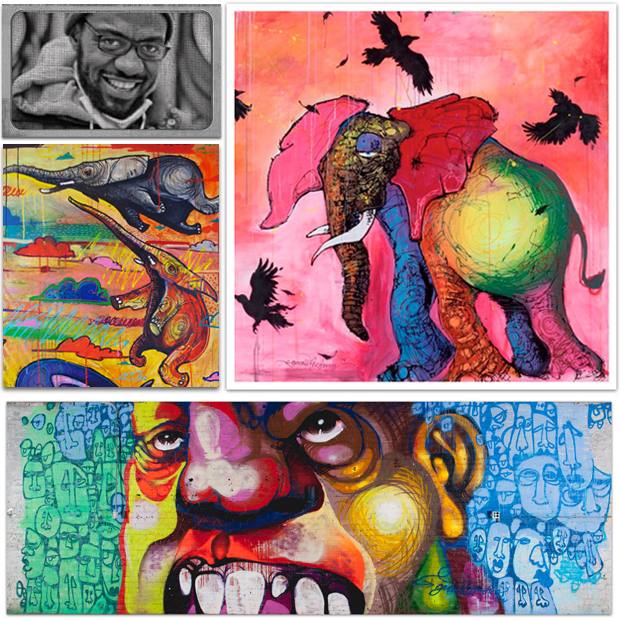 Pefung has exhibited his work in Douala, Cameroon, Nebraska, Iowa, Tennessee and Illinois. He is currently a mentor working with inner-city kids helping them to find their voice and confidently expressing it through the arts.